Sometimes we just don’t have the sense to stay in our lanes. Literally and often metaphorically. It’s probably why this quote attributed to Jack Ma of Alibaba Group resonated with me so much that I turned it into my desktop wallpaper. eBay may be a shark in the ocean, but I am a crocodile in the Yangtze River. 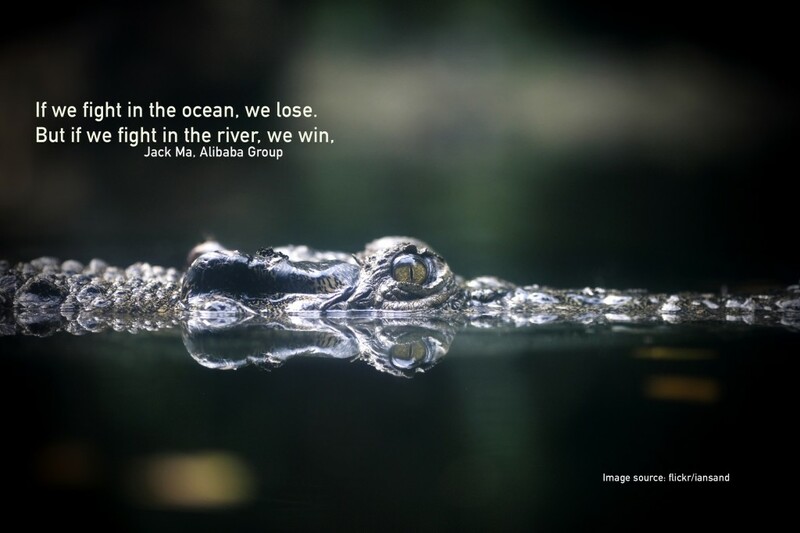 If we fight in the ocean, we lose, but if we fight in the river, we win.